The Democratic congresswoman says she'll decide by the end of the month whether to enter the crowded field hoping to succeed Gov. Paul LePage. U.S. Rep. Chellie Pingree is considering a run for governor in 2018, a move that could shake up the Democratic primary and set off a scramble to succeed her as the party’s nominee for her 1st District congressional seat. Pingree said Monday that the choice isn’t an easy one, and she is giving it careful consideration, a calculus that is likely complicated by the crowded field. If she were to run, she would be the 11th Democrat and 24th candidate seeking the Blaine House. Pingree, serving her fifth term in the House, is a senior member of the Democratic caucus and could be in line for key committee assignments were Democrats to regain the majority in 2018. “It would be hard to leave D.C., but it would be wonderful to be the governor and be in Maine all the time and really focus on issues there,” she said. Pingree said whether she runs or not, Democrats are well-positioned for the governor’s race in 2018. “I feel confident we will get a very different governor next election cycle, whoever the nominee is,” she said. 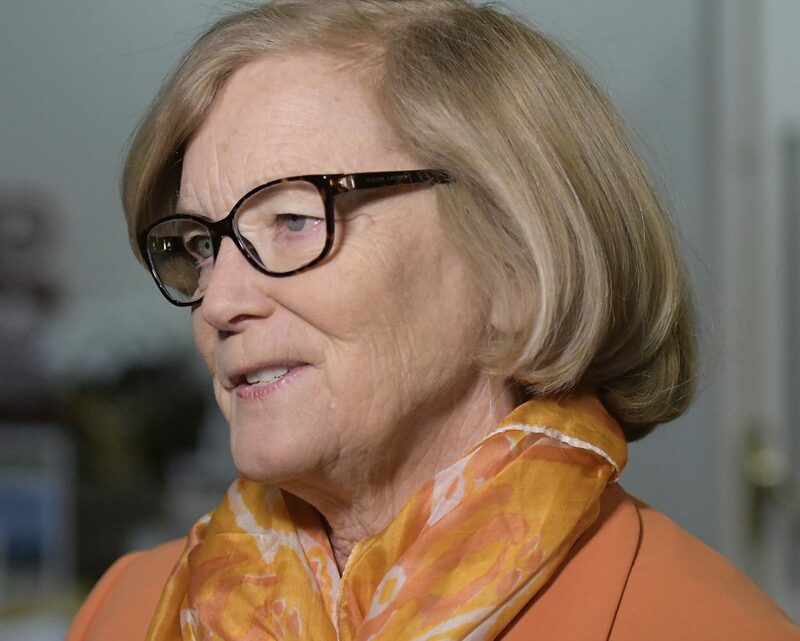 Pingree, 62, is a progressive Democrat first elected to Congress in 2008 after eight years in the Maine Senate and three years heading the national progressive group Common Cause. She has been a vocal critic of President Trump and handily won re-election to Congress in 2016 with 58 percent of the vote. She has been a leading voice in Congress on food and agricultural issues, especially those that she believes will help smaller-scale or organic farms, as well as farmers markets. Pingree currently sits on the powerful House Appropriations Committee and therefore has a voice in funding decisions dealing with farm and natural resources issues. The North Haven resident has run an inn, a restaurant and an organic farm on the island. Pingree said there were still many things for her to weigh and a number of “unknowns,” including whether a citizen-passed law switching the state to a ranked-choice voting system will stand. There could easily be as many as six candidates in the general election race for governor in 2018, including at least two independents, a Libertarian Party candidate, a Green Party candidate and the eventual nominee for both Democrats and Republicans. While Pingree is generally popular in Maine’s more urban and liberal southern 1st District, she could have a more difficult time winning votes in the more rural and conservative northern 2nd District, which re-elected Republican Bruce Poliquin in 2016 and voted for Trump. Pingree’s congressional seat is up for election in November 2018, so her entry into the gubernatorial race would trigger a likely Democratic primary in June 2018. Incumbent congressmen have a mixed record as a candidate for governor in Maine. In 2014, former 2nd District congressman Mike Michaud, a Democrat, made an unsuccessful bid for the governor’s office in an attempt to unseat Republican LePage. But John McKernan, a Bangor Republican, became Maine’s 71st governor in 1987 after serving two terms in the House, and John E. Baldacci, a Bangor Democrat and LePage’s predecessor, became the state’s 73rd governor in 2003 after serving four terms in Congress. Pingree is the second member of Maine’s congressional delegation to consider a bid for governor this year. In October, Sen. Susan Collins, a Republican, ended more than two years of speculation by saying she was not going to run for governor because she felt she could do more for Maine as one of the 100 senators in Congress. Pingree is one of 435 representatives in the House and a member of the minority Democratic caucus. In a statewide race in 2002, Pingree made a bid for the Senate against Collins, who at the time was seeking her second term. Collins won 58 percent of the vote, topping Pingree by nearly 85,000 votes. Pingree suggested that some Democrats now running for governor may decide to run for her seat in Congress if she enters the Blaine House race.